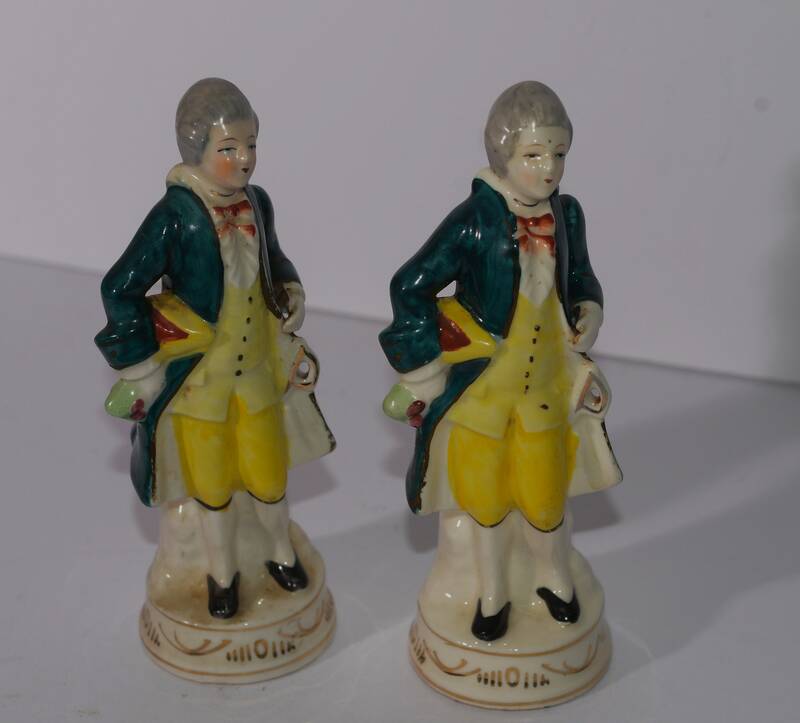 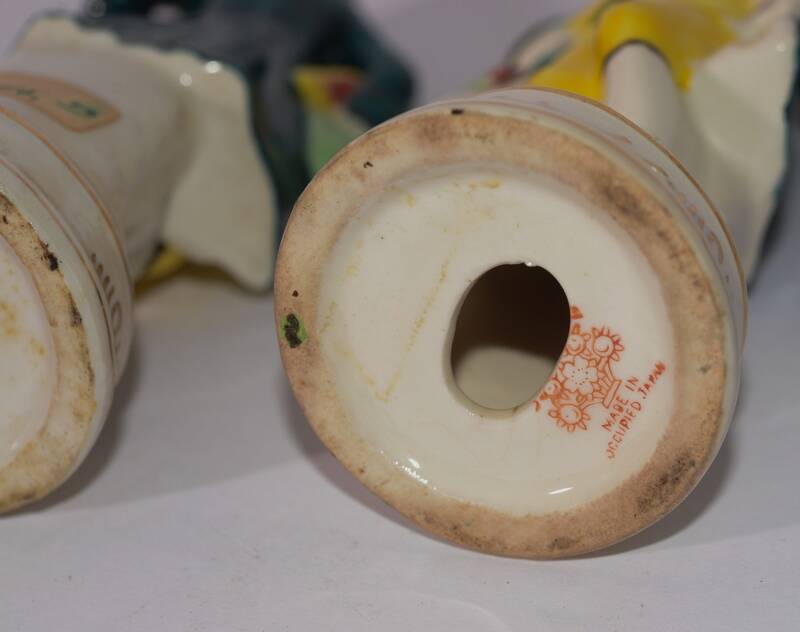 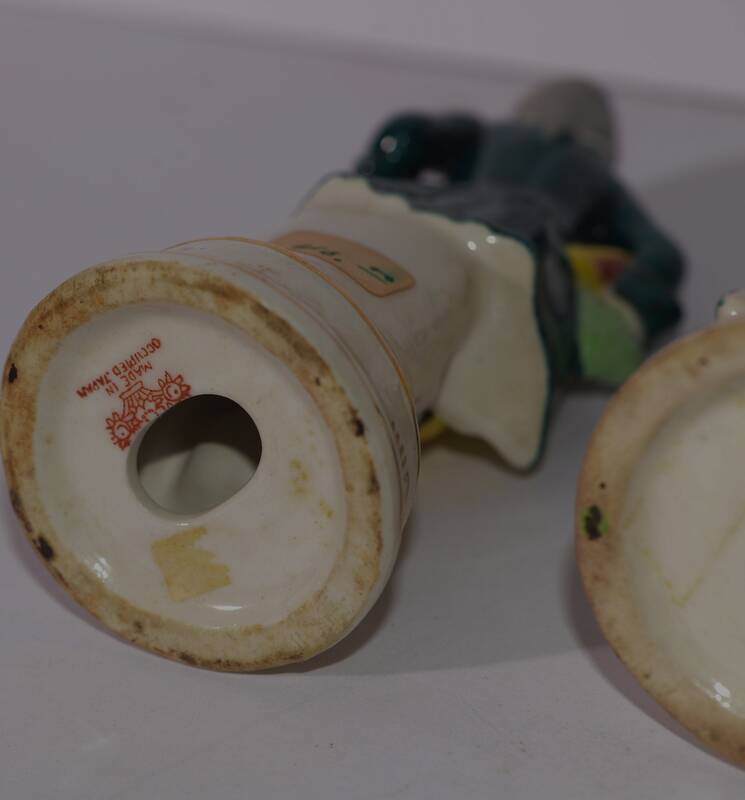 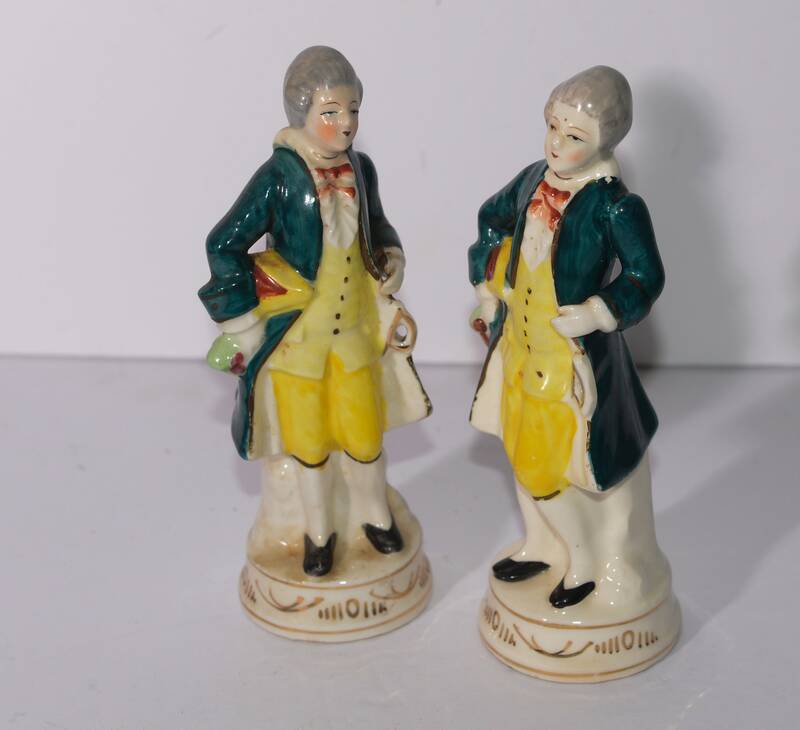 This is a Pair of Colonial Figurines, Measuring 8 inches high , they have some wear to the paint as shown. 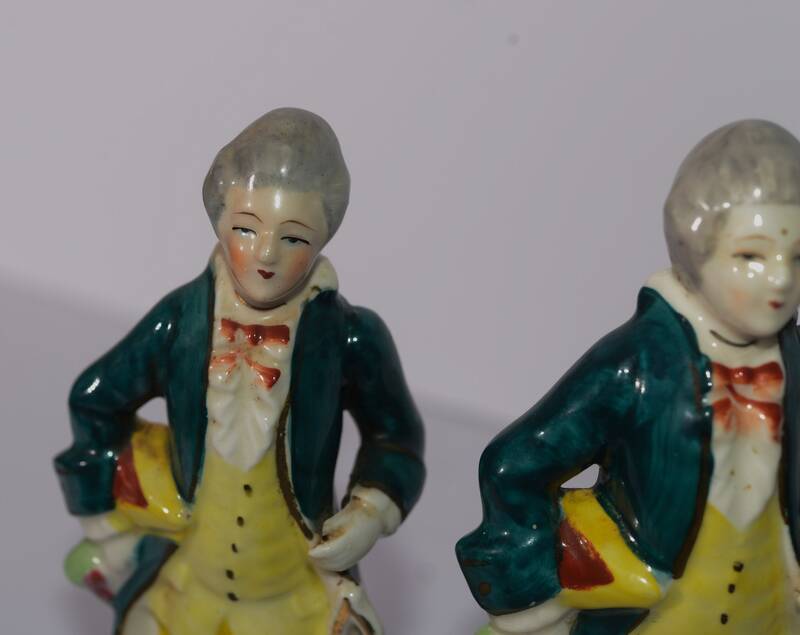 I hand washed with dish soap but they could surely get another cleaning. 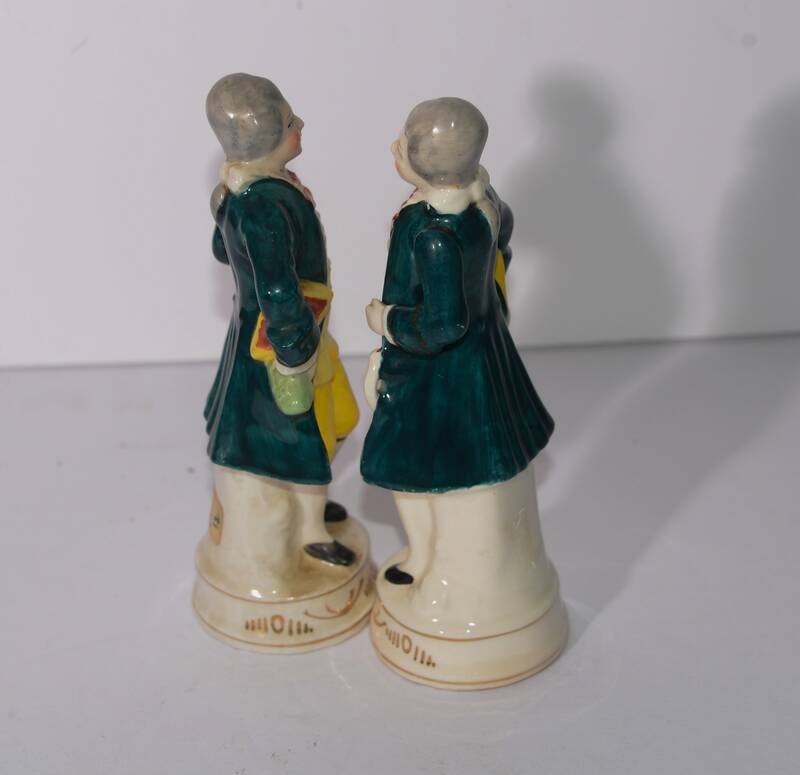 They have no chips that I note, but flaking to the paint in few spots. 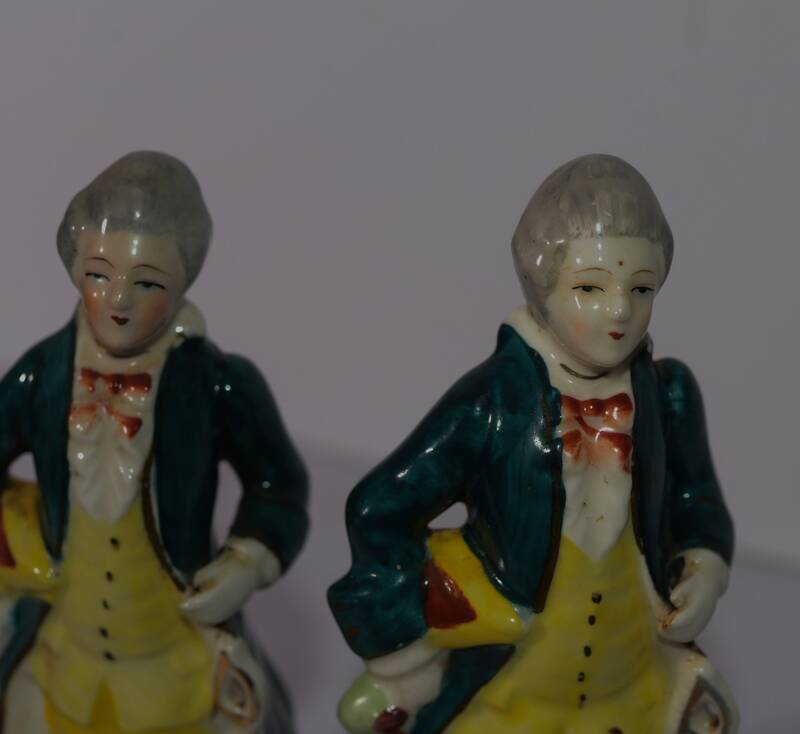 High color on the faces mimics more intricate and expensive german porcelain figurines from the same period. 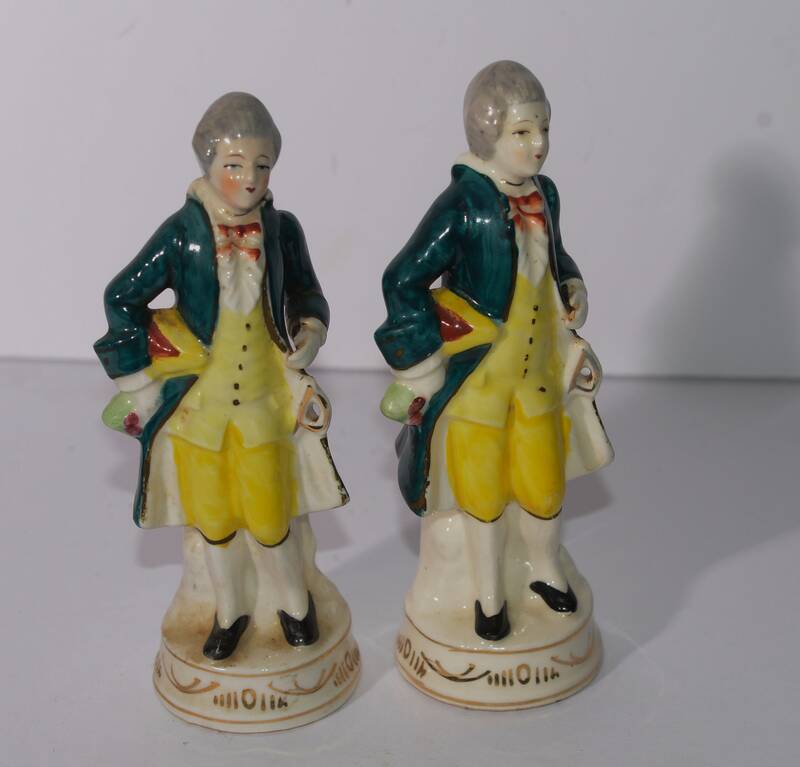 The colonial themed figurines were very popular, dressed in their finest brightly colored clothing. 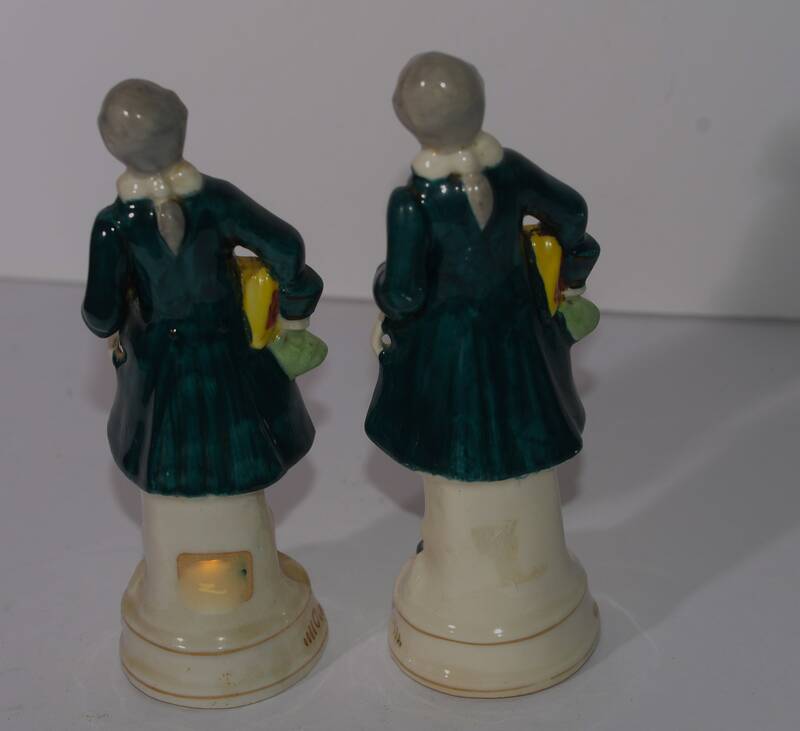 Both are marked on the base.